London’s success is vital to the success of the UK economy. It contributes a net fiscal surplus of £32.5 billion to the rest of the UK, delivers 23 per cent of the country’s Gross Value Added and exports over £130 billion in goods and services. However, London’s economy is under threat. Both from the wider economic uncertainty facing the UK and from the continuation of austerity. Following a decade of underinvestment, London’s public services - vital in ensuring the day-to-day running of the city - are being stretched to breaking point. Nowhere is this more true than in local government. By 2020, core funding from government to London boroughs will have fallen by 63 per cent in real terms since 2010, with overall resources by the end of the decade around a third lower than they were at the start. Over the same period, demand for local government services has increased hugely. 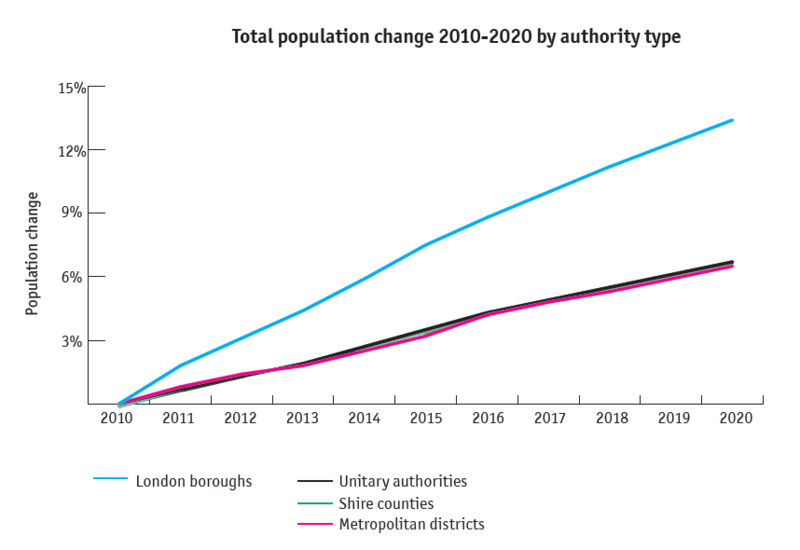 London’s population will have grown by around 1 million people to over 9 million, and new policies and legislative changes mean councils are dealing with a greater range of duties and responsibilities, transferred from central government, than a decade ago. The Spending Review, due later in 2019, provides the opportunity for the government to put local government on a sustainable financial footing, by investing in local services. In particular, London’s housing crisis, creaking infrastructure and significant skills gaps must be addressed to safeguard not only London’s economy but the UK’s. This briefing is part of London Councils’ wider lobbying campaign Investing in the Future - ahead of the Spending Review. It is aimed specifically at London’s business community. We believe London’s public services, voluntary and community sector and business community must speak with one common voice ahead of the Spending Review – to make the case for London in order to protect not only the most vulnerable people in society, but all of London’s residents and businesses who contribute to and rely on the success of its economy.